I had the welder out today for the X-Wing project and saw I had the two original sprockets and some leftover chain from recently installing new sprockets & chain on the Superhawk. So, I welded up the chain on the backside and then welded the chain to the sprockets. I really wish the chain wrapped continously around the two sprockets, but this is all I had to work with. The old chain looked like crap and I tossed it. Thinking now, I could've just painted that old chain, but it's long been recycled. I know this is nothing new. Someone somewhere has to have thought of this before. But it's just something neat to do with stuff that came off of your own bike. Sweet. I know what I am going to do with my chain and spockets when I get around to upgrading them. But that is probably a project for next winter. LOl I am already adding up the upgrades I plan to do next winter. Need to save some cash right now for some other projects I need to do on my hunting land so bike will have to wait! HEHE To many damn hobbies is expensive! Perhaps some carb needles for the hands? You've got to have some other random parts laying around? I'm sure we both have a condition called TMPNET (To Many Projects Not Enough Time). It effects all kinds and all races. Usually those that don't have much free time. I got the clock mech. and found some hands off an old clock that I was able to modify and fit to it. Just need to make the backing plate. 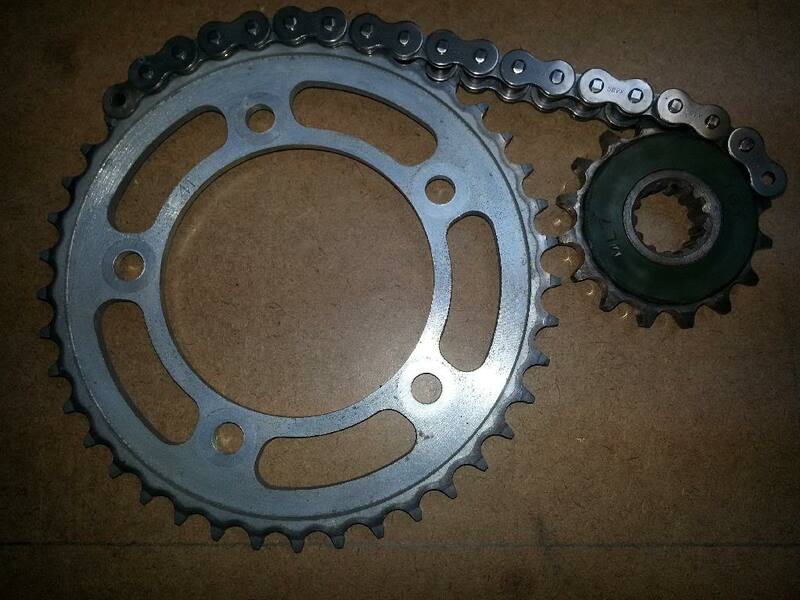 I think I'll use an aluminum plate and rivit it to the sprocket. Rivits for fasteners will look nice on this I think. send me your old gauges and I'll make you a cool clock. Hey, that's an awesome idea! That is something that would look fantastic, not so much on a wall, but on someones desk. I actually have my old gauge cluster that was removed, because I simply don't need them anymore. I'm assuming you've done this before? Do you have any pictures you can share? On a side note, I found some old chain from another project that is long enough to wrap all the way around both sprockets. I think it will look better now. 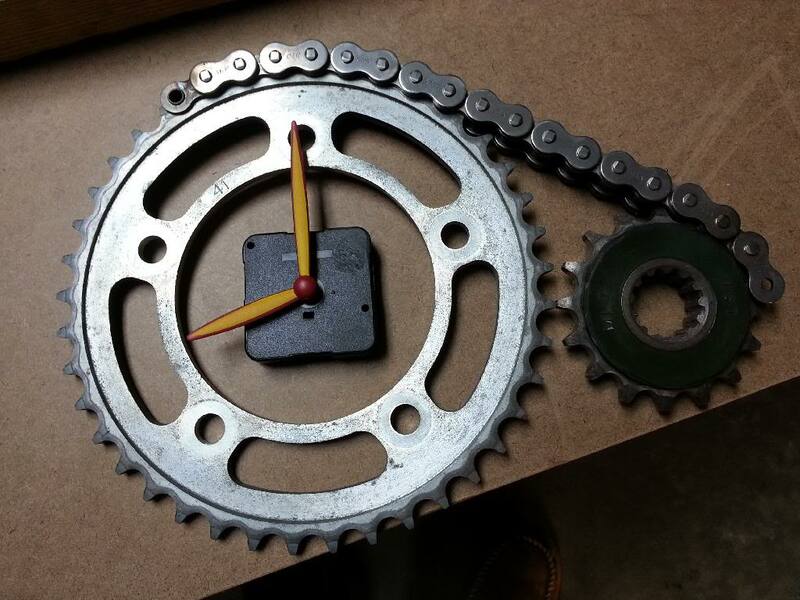 Quick Reply: Have old sprockets & chain? Make a clock!